Israel plans to deploy its new medium-range missile interceptor David’s Sling by mid-2016 after the U.S.-backed system passed final trials, defense officials said on Monday. David’s Sling is designed to shoot down rockets held by Israeli antagonists such as Lebanon‘s Hezbollah guerrillas with ranges of 100 to 200 km (63-125 miles), as well as cruise missiles and drones. David’s Sling, along with the Iron Dome short-range rocket interceptor and the Arrow ballistic missile interceptor, both already operational, will form a multi-level shield that the Israelis are developing with Washington’s help as a bulwark against Iran and its allies on the Israeli border. The three systems incorporate a network of radar-guided interceptors designed to shoot down everything from the low-flying, Katyusha-style rockets of Hezbollah and Palestinian guerrillas to the ballistic Shehab and Scud missiles of Iran and Syria. MAHMOUD ZAYYAT/AFP/Getty Images “David’s Sling” is designed to shoot down rockets, cruise missiles and drones up to 125 miles away. 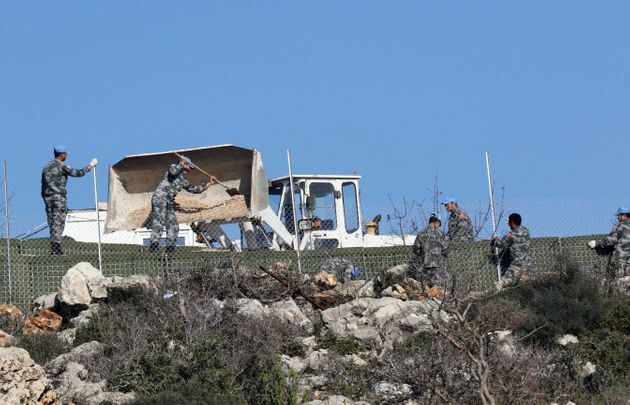 Two rockets were fired from south Lebanon into Israel on Sunday. One official told Reuters the plan was to have a small number of David’s Sling launcher sites operating by mid-2016, a deployment that would eventually be doubled. Also known as Magic Wand, David’s Sling is being manufactured jointly by Israel’s state-owned Rafael Advanced Defence Systems Ltd and U.S. firm Raytheon Co. Israel’s Elbit Systems Ltd. provided command and control technologies. Rafael also makes Iron Dome, which has been extensively bankrolled by the U.S. Congress. Israel and the United States say Iron Dome batteries have proven capable of shooting down around 90 percent of Palestinian rockets fired from Gaza. Israel Ministry of Defense/ASSOCIATED PRESS David’s Sling is being manufactured jointly by an Israeli state-owned defense firm and U.S. firm Raytheon Co.
Like Iron Dome and Arrow, David’s Sling has drawn interest from prospective foreign clients, especially as it is also billed as being capable of intercepting cruise missiles. But the system lost out on a Polish tender in 2014, and its development schedule took further hits from budget shortfalls and the Gaza war that year. During that seven-week conflict, officials said some David’s Sling radars were dismantled and adapted for use on makeshift new Iron Dome batteries. On Dec. 10, Israel and the United States said they held a successful interception test for the upgraded Arrow 3, which hit a target in space.